The second stream is bigger and holds more browns than brookies. It is a WTMA, and though the fish are legally protected they definitely get some pressure. There was a deep pool right above the road that held some big wild browns, and when we crossed it there was a rise. But I just couldn't get them to commit to a fly. In a nice pool upstream I did get a fish to go for one of my flies. A big brown slammed my Ugly in a beautiful pool. I missed it but it was there long enough for me to see and feel it. It was no small fish. In fact it was pretty big. I even missed it again on the way back downstream. I got a few more chances on a stretch near what Alan calls "The Outback". In some of the deep pools there I could see schools I eventually identified as fallfish. Interestingly, there were trout hiding in those schools. Working those deep pools got me a beautiful brown. Mixed in with a different school of fallfish were brookies. I was totally surprised that I was able to catch them, they were only about five feet away from me in slow, clear water in the sunlight. I saw the three that I caught come up off the bottom and grab my fly. Once again I greatly enjoyed a great day of wild trout, beautiful streams, good food made by Alan, and just a terrific day with two other small stream junkies. I'll start off with the big trips. In May or June I'm hoping to hit the big trout rivers in New York. Beaverkill, Willowemoc, Delaware. In July I'm going to Oregon and Washington. I'll be fishing for wild cutthroat and redband trout in some freestone rivers, and hopefully carp in the Columbia River. If summer steelhead are an option you can bet I'll be targeting them for some of the time. Also, whatever species I can add to my life list will be sweet. Pikeminnow, bull trout, westslope cutties, sea run cutties, who knows what I'll get! In August I'm hoping to go up to New Hampshire again after wild brookies. March, April, and May will be the normal hodgepodge of craziness... there will be special emphasis on carp, sea run browns, shad, and streamer fishing for big trout. 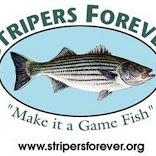 Also, I'm going to spend a lot of time trying to get a big striper in fresh water. 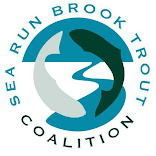 Also my discovery of an awesome brook trout spring creek this past fall has me thinking... I'm going for my biggest wild brooky. June, July, and August will be focused on carp, smallmouth, bluefish, albies, nighttime walleye and pickerel. September and October will be all about snapper blues, brook trout, stripers, and big brown trout on streamers. Pickerel on topwater should also make for some great outings. November and December will undoubtedly lead to the typical nymphing for wild browns, hunting out late season panfish, and streamer fishing for walleye, pickerel, and pike. There is a tiny stream in the state forest near my home that contains some wild brook trout. I discovered it this summer while mountain biking. There is a man made pool bellow the small foot bridge that always holds a bunch of brookies. On the bike it is a quick ride, but on foot it is a trek. Today my brother and I made the walk to this amazing little stream. I brought along my 3 wgt. and a box of wetflies. I fished the deep pool and the one bellow it and caught 4 little wild brook trout. They all took a partridge and peacock soft hackle. I went to visit a section of stream that has been on my map for a long time. There definitely used to be brook trout their, and some must have been sizable. I had to fish it eventually. The only thing that was keeping me... I don't have a reason. The stream was gorgeous and ice free, but I caught nothing and the only fish I saw were fallfish. This time of year the sit over light colored gravel in the sun, usually in only a few inches of water. When they act like this, these normally greedy fish thumb their noses and slink away when a fly drifts in front of them. I fished the stream I wrote of yesterday, this time bellow the highway. I was very excited to see it in perfect condition: crystal clear, average flow, and there were midges and stoneflies all over. I saw one rise within a few minutes of my arrival and that dictated my fly choice: a foam back Humpy. The first pool was a blank, but the pool with the riser in it gave up a fish first cast, an absolutely stunning specimen that took with a nice little jump. I ended up getting three more on the Usual, and I'm pretty confident that I'll get my 12th month dry fly fish in a couple weeks. It's so awesome to raise a fish when there are a few inches of snow on the ground. I did a bit of fishing today at a stream within half a mile of my house. It is one that I fish often, and is a fascinating stretch of water. I didn't catch anything today, but I saw fish and even saw rises. I ended up fishing all the way up through the nursery water, where there are only a few brook trout over 5 inches. The last time I fished this section was 4 years ago, and it was just good to see that there are still fish in this absolutely tiny section of stream. First I ought to describe the stream: It starts out in a deciduous forest as a very small spring. It increases in size and picks up more springs along a half mile long stretch before bassing under two very close bridges. It then wanders through some extremely thick thorn bushes for about 100 yard before flattening out and passing around the edge of a meadow. Here it is deep and undercut, but has sandy or muddy bottom. After exiting the meadow the stream becomes a freestone again and passes through about a mile of classic brook trout territory. There is a culvert and one old bridge along that stretch. After passing into residential property the stream drops under the highway, but the lowest stretch has about 50 yards of great habitat as a low gradient gravel bottom stream with deep bend pools. There appear to be three distinct fish populations in the stream: one group that spend the whole year in the uppermost stretch, a large population in the middle mile of water, and a separate population in the lowest 100 yards of the stream. The uppermost group is the smallest. I have not yet caught an adult there, but I have seen them and saw a few today. What I have caught are the smaller ones. There are a lot of 1 to 3 inchers there! Going downstream, there are NO brook trout for 200 yard downstream of the bridges. The middle population spawns in the gravelly section right bellow the meadow. The fish in the middle mile get to be about 7 inches. They are typical looking brookies, not much different from those in the adjacent watershed. The population in the lower river is truly isolated, a culvert prevents their movement upstream and the swampy water in the stream bellow is too warm for them to move down. The isolation of this population shows, they have a purplish or blueish cast totally different from the population upstream. It just goes to show the variety within populations and strains, even within one stream! Being an outdoors man first and anything else second, my brief indoor stint broke today with a tracking outing. One of the reasons I love fishing is it allows my to micro analyze the behavior of fish and their prey. Though I am not a hunter, I LOVE tracking deer. I find it amazing to see how reclusive deer can be, even in an urban environment. Today I found two separate herds. One crossed the highway sometime during the night, when there were basically no people around. The other was more complicated and left a far more fresh and traceable track. I picked up one doe and followed it through some extremely thick growth to where it joined a heard of 5, two of which were bucks. I new immediately that it was the group I saw a week ago. I followed them on a wide arc around a warehouse building. Where there were gaps in the brush, they ran. When the cover was enough to hide them the slowed down. The two bucks occasionally wandered away from the does, at which times it seemed like the does always stopped to eat. At one point the whole group wandered around and fed. Two does meandered across a small stream, throw some thicket, the stopped short at the trail I had walked in on. I realized I hadn't seen their tracks on the way in, Which meant they came through while I was there. They turned, did not cross the trail, and ran back to the group; my guess is that they caught my scent. Then the group headed into some extremely rough swamp, and eventually I had to either brake off or risk getting more than my shoes soaked. As much as I love severe weather this storm is a scary one. It's making a mess of the NJ coast in areas that damaged by Sandy and dumped a crap load of snow on D. C. and the surrounding areas. Here it is very windy and we already have enough snow for my taste. I haven't been outside since yesterday, mostly because I don't have much of my snow gear here... but I was able to get a bit of tying done. It's the season of fly tying, sitting in, and watching videos from New Zealand and Patagonia where it is summer right now. I hate that. When I'm stuck here preparing for a big winter storm some bloke in NZ is probably catching 27 inch browns on dry flies. As a bitter consolation prize, we get the Fly Fishing Show season. Today I went to the exposition in Marlborough, Mass. where I spent more than I should have on fly tying materials and enjoyed fellow CT angler Steve Culton's "Wet Flies 101" presentation as well as a bit of conversation afterward. But best of all, I got my mother to have a short casting lesson. She wasn't bad. Honestly there are no conditions that will stop me from enjoying the woods. I love the cold and ice of winter. I love the heat and opressive humidity of summer. I find that as long as I don't set limits for myself I can tolerate pretty much any conditions. Yesterday I hiked 12 miles. It was windy and only got over 30 degrees in the exposed areas. I saw deer, squirrel, muskrat, and pheasant. In some of the small streams I crossed there were tiny brook trout, living in places that allow them to grow only as big as 3 inches. Think about that for a second. These fish are sometimes five or six years old and yet they are only half the size of a Farmington brown that is a year old. I spent some time along one of the big trout rivers in the area and though I had a rod in my pack, I knew there wasn't much sense in fishing. I heard barred owls, fisher, and a pack of coyotes. I was home around 6:30. The woods are enchanting at night. Deer body hair and the hairs from the very top of a buck tail are hollow, very buoyant, and make an awesome medium for bass, trout, and pike flies. The ability to splay and spin these hairs means a vast array of streamers and surface flies. Spinning deer hair flies is probably one of the most artistic forms of fly tying there is. Some people tie flies that look like taxidermied bluegills or mummichogs. I'm not nearly that good, so I'll stick to my impressionistic fish catching patterns.